No plans to implement idea. Currently salesforce is providing basic multiple currency support for all standard objects. "Advanced" multi-currency support (the tracking of not just current exchange rates but also historical exchange rates) is important. It becomes a significant problem when a master object (like an Opportunity) has historical rates but its child objects (like Custom Expenses) only support current rates. Historical rates need to be available for use with all objects. We'll continue to track and monitor this Idea, and I'll post a new update should the status change. Thank you for your patience. I think it demonstrates the pedigree, much like the rather poor localization support does, of the platform. It is US-centric and doesn't care much about the rest of the world, it seems. We are not using Salesforce CPQ, our customer is using customized CPQ with custom objects. We need this feature in custom objects also. wondering why Salesforce still not considering this to implement. Nice. "We're never going to fix this basic issue in the system that you're already paying for. But here's a link to other people who will take more your money to help you get around our own system's failings." We've had Salesforce 3 years now and this is stopping us from using the system as we intended - the Salesforce partner who designed our system neglected to tell us about this. Frustrated!! Come on Salesforce! Just when I thought I had the custom commissions tracker/calculator I built is ready to go....this failed all my tests. We are a global company-- I wouldn't want to report to the Sales Reps and VPS on their comissions to only have the new range of exchange rates update these values each and every time. We need this feature to cover custom objects otherwise, the entire Advance Currency Management is only partially beneficial. Salesforce should allow the Advanced currency management or dated currency functionality to work on custom objects as well. This is critical in an international business. We have a need for dated functionality for opportunities and then we have a custom object linked to opportunities where we track expected revenue recognition of opportunities. However the expected revenue (custom object) are not able to use the dated currency while we run into issues of not being able to compare sum of recenue recognition and value of the opportunity, which daily leads to a lot of manual work to ensure this is in sync. What is the big deal for Salesforce ? why not enable dated currency for all objects or give people an option to use dated or standard currency on any object - or maybe even allow roll up summary of objects using different currency "methods" (dated or standard)? I completely agree with @Vicki Nuccetelli . We use CPQ and the discrepency is beyond annoying when using dated exchange rates. Seeing as Quotes and Opportunities work hand in hand its logical that the exchange rates would follow, this must be something they're looking at after the aquasition of SteelBrick. after 9 years, salesforce still has no free solution for this. This is painfull for all international business. It is blocking general business requirements! We are using Salesforce CPQ, but the Quote objects do not use dated exchange rates. Quotes are tightly integrated with Opportunities; it doesn't seem logical that the dated exchange rate applies to the Opportunity but not the Quote. I don't see how our reps will be able to accurately manage pipeline with this discrepancy. This functionality is really critical for us. This functionality is SUPER critical for global companies - hard to believe SF still does not do this widely! 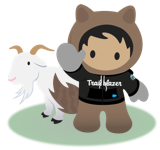 This is vital for appexchange partners that are developing on the Salesforce platform. Many of my customers are multi-entity, and multi-currency. The currency management is lacking in a few areas and I hear customers repeatedly saying that this problem would not occur with Netsuite, Orderwise and other products. Salesforce, please review this, the lack of dated exchange rates across the platform is a real weakness that needs addressing. When are we going to get an update from Salesforce on this? This is mission critical for us and SF Support are unable to suggest a work around. We absolutely NEED all objects to be able to use a dated exchange rate rather than just Opportunities.